comicoart: What are the history of Robotech and Macross comics? What are the history of Robotech and Macross comics? 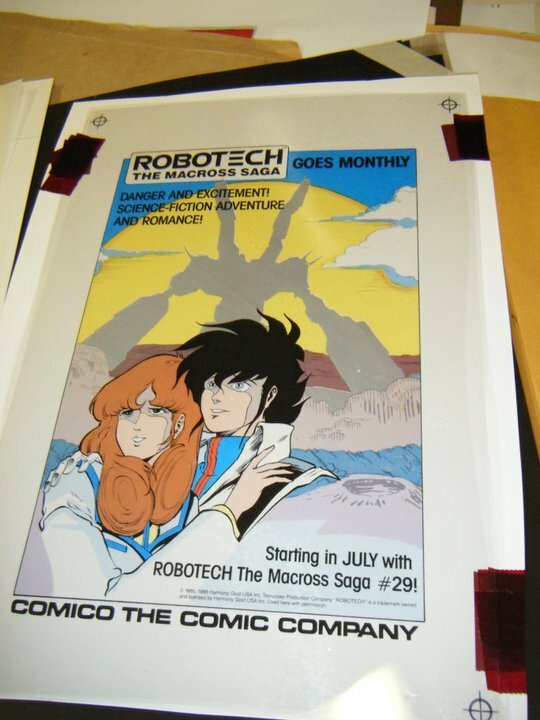 In some of the production art from the two pallets of Comico production art you will see references to Robotech and Macross. These legendary comic series were one of the first major introductions of Japanese anime characters and story lines to enter the American comic scene. For collectors wanting to come up to speed on the history of Macross and Robotech I would like to draw your attention to this History of Robotech created by one of many fans of the series to this day.